This cute ceramic piggy bank is perfect for any little boys savings. 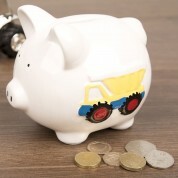 The classic design features a colourful illustration of a digger and truck on either side of the pig as well as a “Road Closed” sign on the rear. 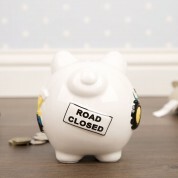 It would make a wonderful addition to any child's bedroom or nursery. 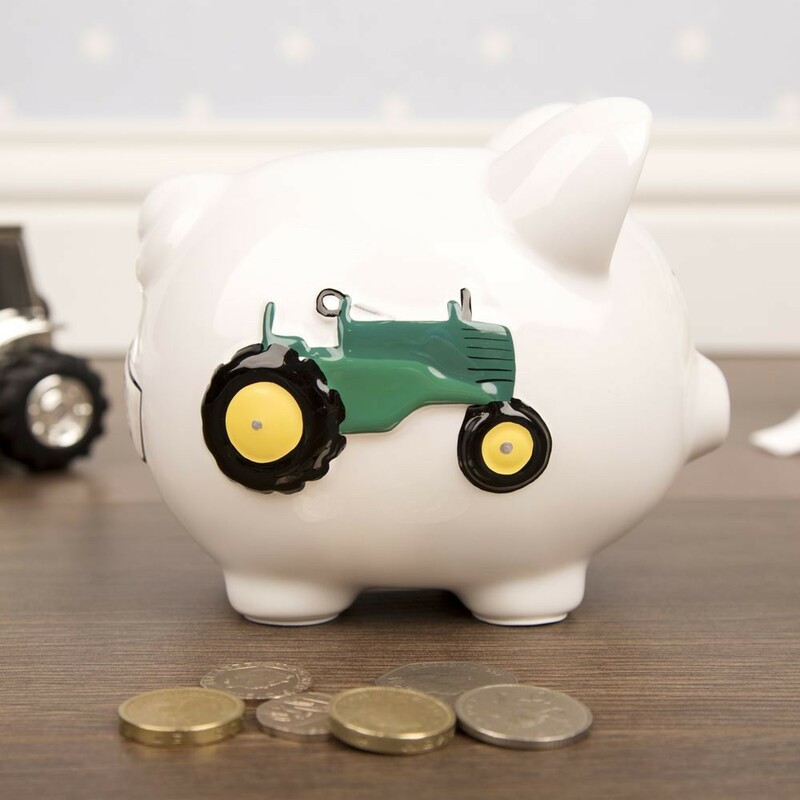 They are a fun way for children to store pocket money and there is a rubber stopper underneath for easy access to their savings. 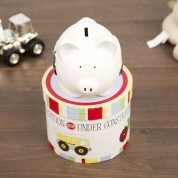 The piggy bank is presented in a themed keepsake box so it makes an ideal gift for special occasions such as a Christenings or Birthdays.